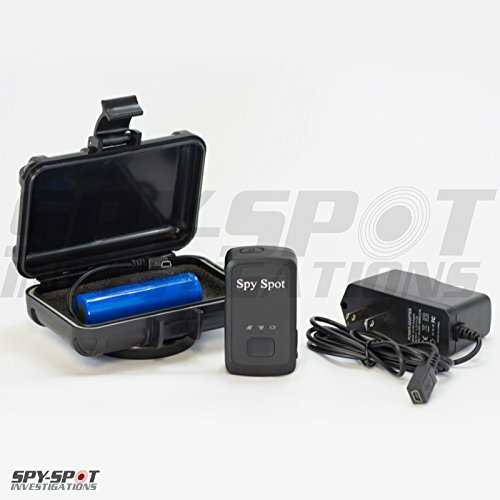 The Spy Spot GL 300 is a portable GPS Tracker with dimensions measuring 2.7 inches x 1.5 inches x .93 inches. The real time GPS Tracker has a built in motion sensor which will optimize the battery life of the unit. Spy Spot's tracking portal is simple to use and can be accessed from any smart phone, tablet, or computer. The tracking portal will provide information such as the miles per hour, location, street view, breadcrumb trail, satellite view, six months of history, and more.$24.95 Monthly service fee required, but no contracts. One time $30 Activation fee.